One of my favorite days of the year is when I lead second-graders on a church tour as part of their preparation for First Eucharist. I like to show them and their parents things in the church they might never have noticed or things they may see all the time but not fully understand what they are or why they are there. Before one such tour last spring, I launched into my usual welcome speech. I explained that everything we were going to see was sacred and designed to bring us closer to God in some way. As we entered the church, I pointed out the image of the Holy Trinity above the front doors. I explained that the fonts with holy water remind us of our Baptism and that the stained-glass windows tell a story about God. (I also observed that in order to see them, we have to lift our eyes up toward heaven.) We talked about the slain lamb carved into our altar, the living lamb engraved in our crux gloriosa behind the altar, and what they mean to us in the Eucharist. We talked about the tabernacle and how to genuflect in the presence of Christ in the Eucharist. Their eyes lit up at that aha moment; they were asking thoughtful questions about what they were seeing. “They were getting it!” I told myself. That was my aha moment. I suddenly realized some of these students were seeing these things for the first time. I never considered that some of the people in the tour did not go to Mass on a regular basis. My parish has an overflow Mass in another space, so some of the children attend that Mass and never spend time in the actual church. 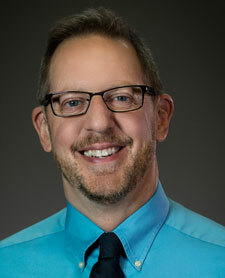 The students knew the basic vocabulary—ambo, crucifix, altar, and Lectionary—but beyond the words, it wasn’t meaningful. What can we do to help our students engage more fully with their church? This is the obvious solution, and it assumes they will actively participate (which may not be the case). Teaching about worshipping as one community of believers emphasizes that we are the Body of Christ. You can model this for the children by attending Mass at a time where your students can see you. 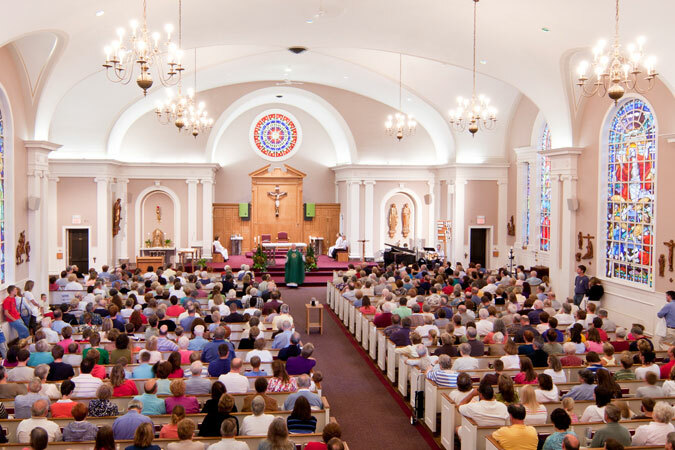 Emphasize the importance of attending Mass in your communications with parents. Be welcoming and sensitive, especially to those families who may not have a history of regular attendance or families of two faiths. Take students into the church (and sacristy, if possible). You can make the tour as advanced as you like, depending on the grade level. Younger grades may respond to an exploration or a scavenger hunt. Show them something as basic as a kneeler, but then explain why we kneel when we do. 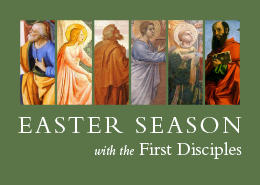 Connect liturgical actions with their meaning. Explain why we are silent after the priest says, “Let us pray.” For younger children, explain how to behave in church. They could even practice approaching the altar with their arms folded over their chest if they haven’t received First Eucharist and walking back down the aisle with their hands folded. With permission, show them the Lectionary and the Gospel book up close when you explain their significance. Ask your liturgy director or sacristan if you can borrow a Mass kit to use as a teaching aid in class. Letting the kids see and hold a chalice, a paten, and a purificator will personalize the experience when they receive the sacrament. If this information does not exist already, you may have your work cut out for you. 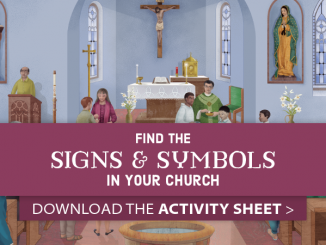 As you point out the icons and sacred art that decorate your church, be willing to share your interpretation of the art and explain how the images influence the way you understand and practice your faith. Discuss the church’s architecture and design. I like to show my class photos of churches around the world. Some are considerably grander than our parish church, and others are smaller by far. 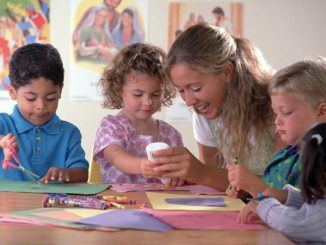 I let the children point out similarities and differences, which always leads to discussions of other Catholic churches they have visited. This is the perfect segue into an explanation of how Catholic Christians all over the world worship in the same way, even though where we worship may look different. Ask your parish priest or deacon to visit your class with some sample vestments to explain what they are and how they’re used. It will give the children some small-group time with clergy and let them see that, indeed, all of these things are holy. A church tour will help students and their families encounter Christ in a new way. Do you take your class on a church tour? If so, what features do you point out? What aha moments have you noticed among your students? Check out the DVD Come and See, which includes a Tour of a Church as well as a segment on Your Role at Mass and another on Ritual Matters. Touring the church is one of my favorite classes for my first graders as well. One thing I’ve been intentional about in the last few years is taking them over to the church on a regular basis. I know many of them don’t go to Mass, but I want them to be comfortable in the church and I also want them to experience the sacredness of being in the church. Sometimes we go over to look at things, the church tour, the advent wreath, the nativity scene, but we also go over just to pray, last time we were talking about marriage and holy orders, so went to pray for our families and the priests. I’m always amazed and thrilled to see how excited they are to go to the church. Last year I had one girl who particularly loved kneeling in front of the tabernacle and it was beautiful. That’s such a great idea to go to the church for prayer. It seems so obvious, and now I’m wondering why we’ve never done it. Thanks for sharing. I do the tour as part of our First Communon workshop. This is the third church have done the tour and except for tailoring it to each church basically do the same tour. I always start and finish at the altar and share the words Jesus and the Priest say. At the baptismal font always ask how many were baptized at this church. Parents are part of the day so if the kids can’t remember then parents can and say that your head was above this font. The week before classes start in September, I invite the incoming 1st graders and their families to attend the 11:30 Sunday Mass. Immediately afterward I have refreshments in the gym for everyone (bagels, fruit, muffins, coffee, juice). While they eat, I discuss an overview of the Religious Ed program (handouts included). Then we go back into the church for a family tour in the form of a “Scavenger Hunt”. Each family has their own set of instructions to locate 12 different items/places in the church. One parent acts as the guide. Families end up in either the Sacristy where the Pastor shows them all the vestments or in the Chapel where the Parochial Vicar gives them a tour the Reconciliation Room. Along the way on the Scavanger Hunt, the 1st grader collects 5 letters to spell out the word “Jesus” and he/she receives a little prize. This has been well-attended over the years and the parents enjoy meeting other 1st grade parents. Great ideas. I have a church tour with Confirmation class! I may have to include the parents! It’s amazing how, even in our small church, we take for granted (or sometimes don’t notice) the things that have been there for years. It can be an eye opener. 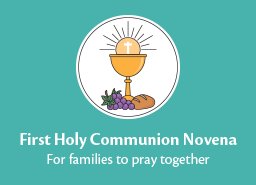 I usually take my 2nd graders who are preparing for the Sacraments of Reconciliation and First Holy Communion over early in our school year (Sept.). I’m so blessed to have our wonderful Deacon lead the tour. Afterward I ask them to write about one thing they learned or especially enjoyed seeing. This year many were impressed with the tabernacle and being allowed to see it up close. But my favorite was one little girl who wrote, “I learned that I am the church.” You see our deacon explained that the church is not the building but the people who in it who come to worship God.